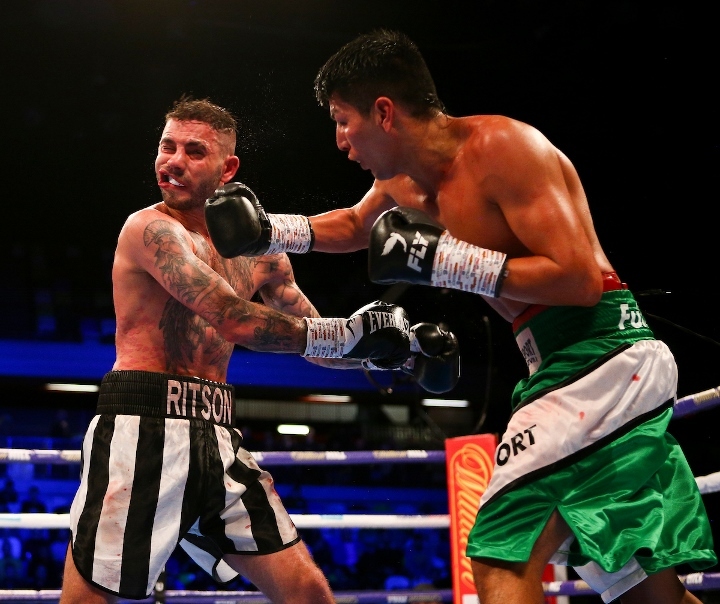 Newcastle puncher Lewis ‘Sandman’ Ritson (18-1) made a successful return from his first setback, debuting at ten stone with an often laborious ten-round decision over Argentinean plodder German Benitez (21-4). 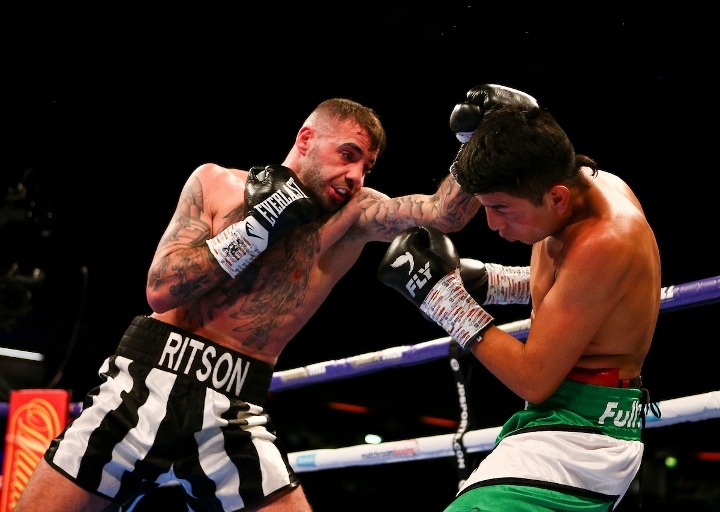 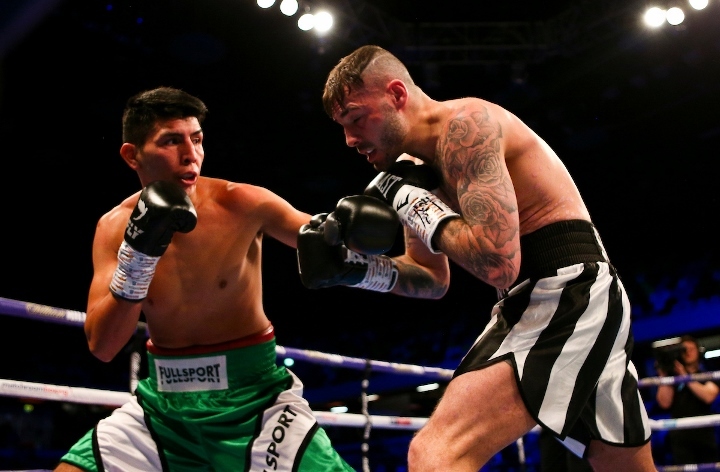 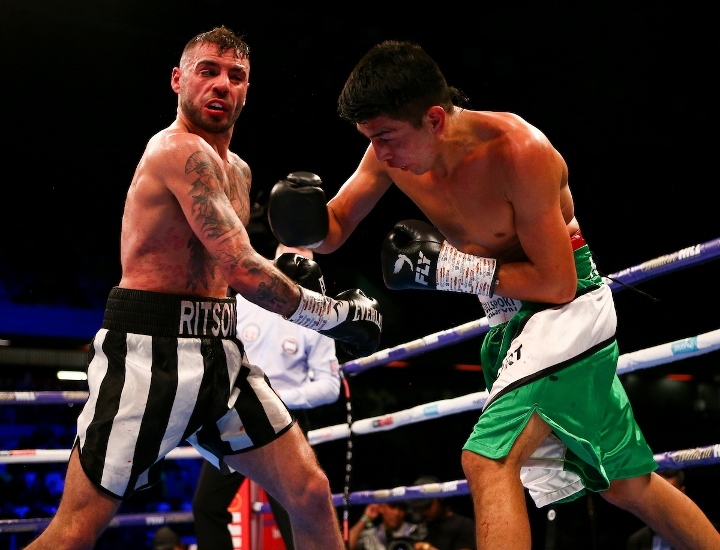 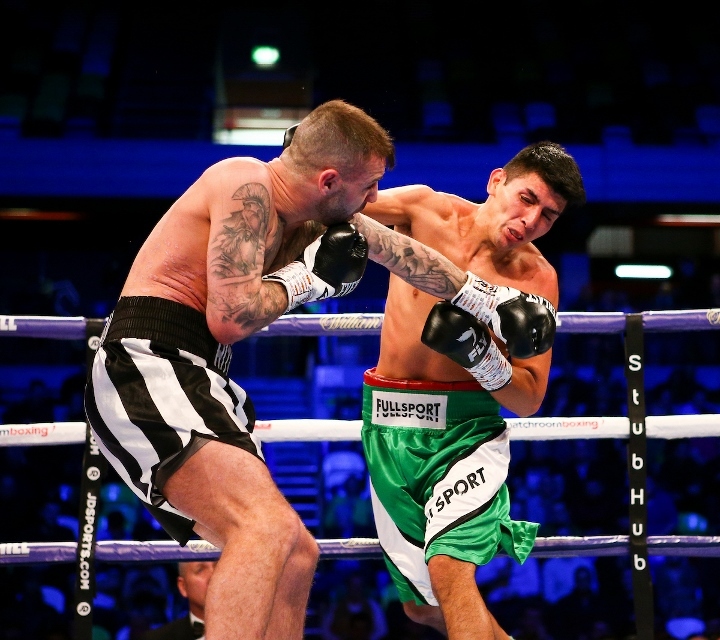 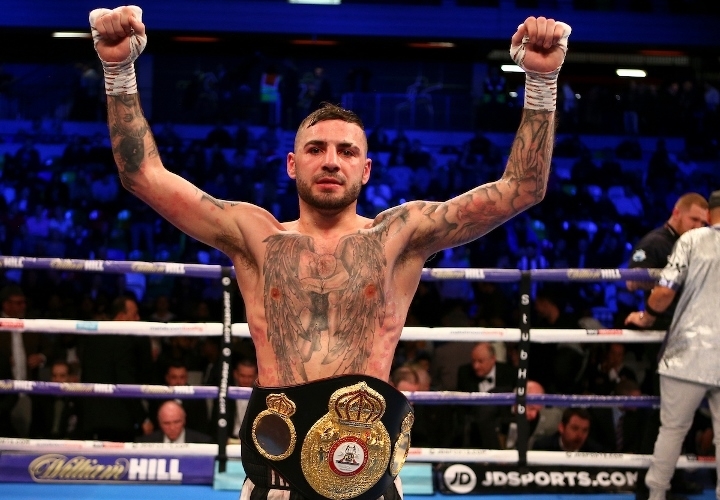 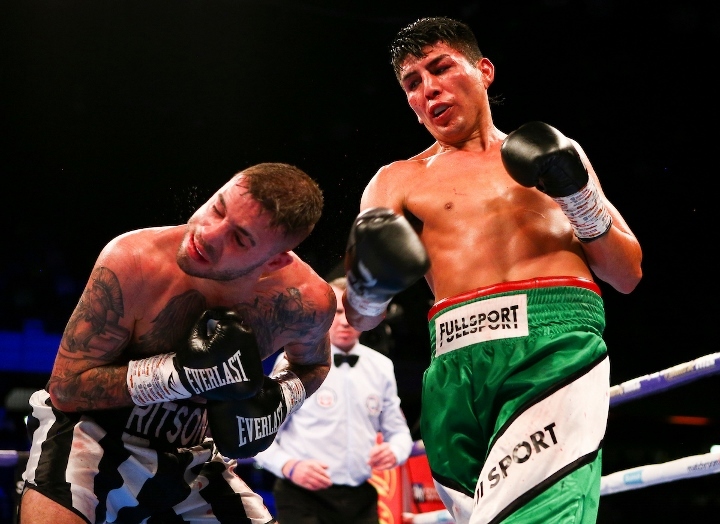 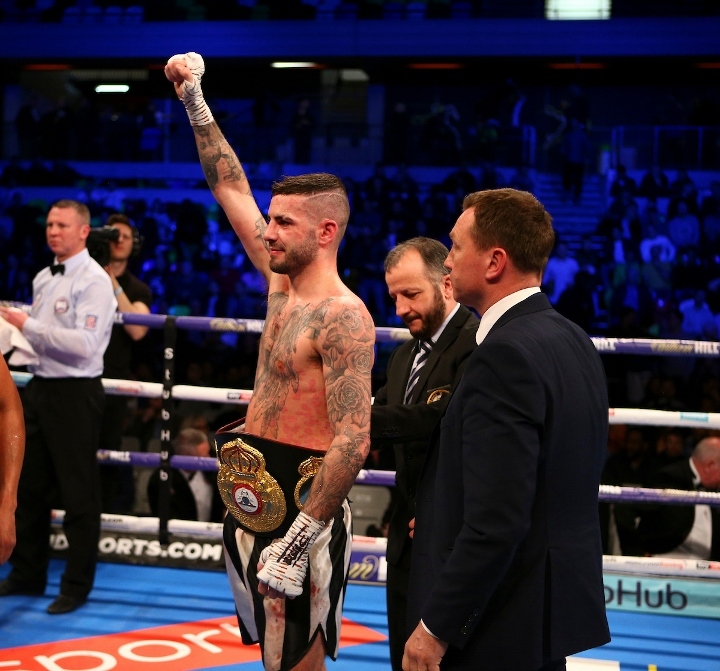 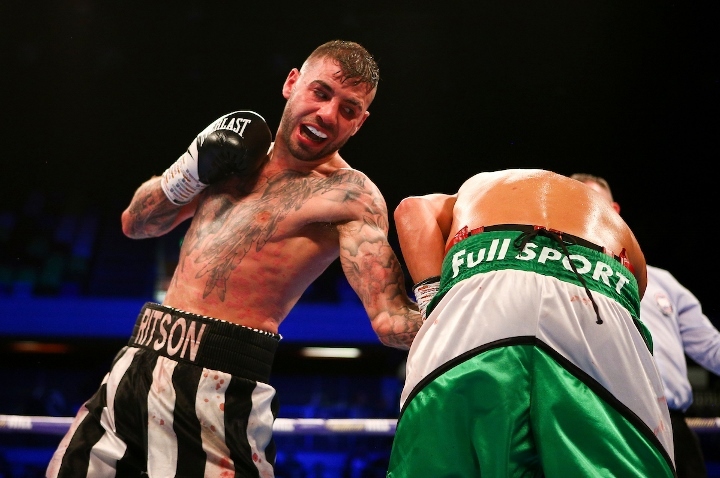 Ritson, who lost his unbeaten record with a points loss in a challenge for the EBU lightweight title against Francesco Patera last October, looked solid at the weight, his jab appearing heavy and left-hooks to the body hurting Benitez. 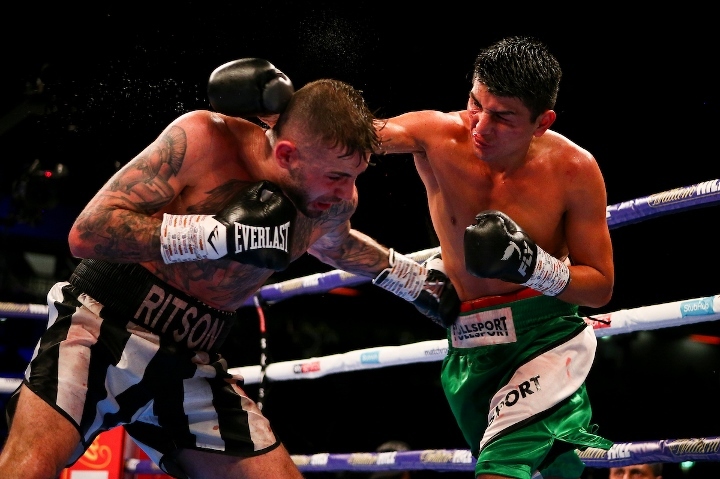 Still, in truth it was a soft match for Ritson as Benitez has also often campaigned as a lightweight and appeared much the smaller man. 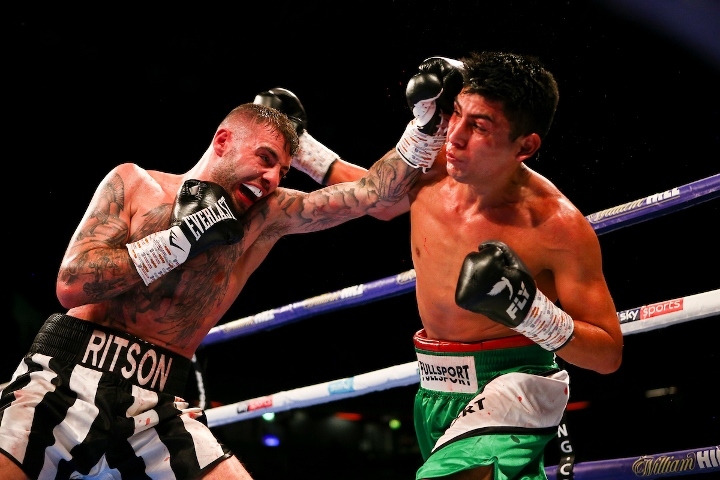 A right hand in the third knocked the visitors gum-shield out and each round followed a similar pattern with Ritson jabbing his way in to find opportunities to land the vaunted right hand which finished so many lightweights. 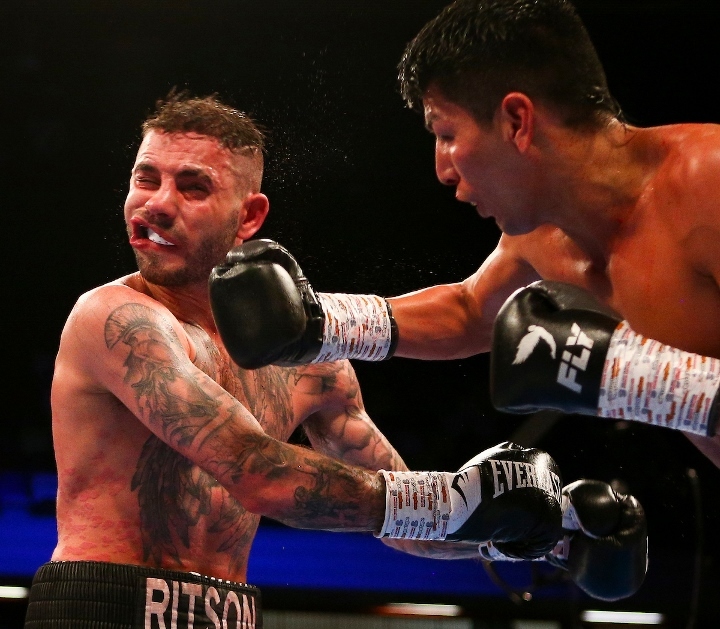 The plucky Argentinian would occasionally respond with hooks to the body and head but wasn’t quite active enough. 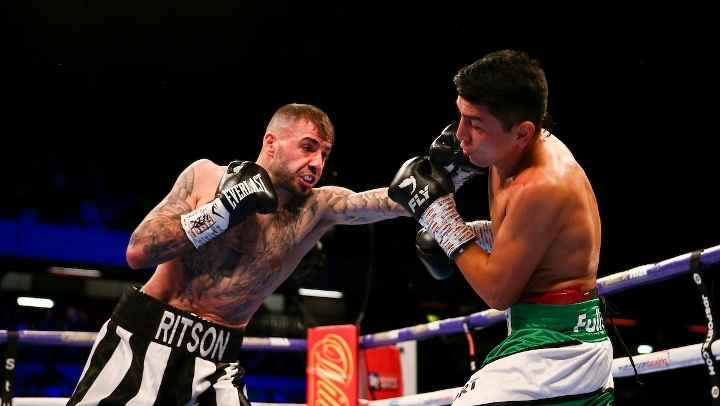 In the seventh Ritson landed his best punch, a straight right hand which drew gasps from the crowd, but this didn’t seem the same fighter who electrified during his run at 135 lbs. 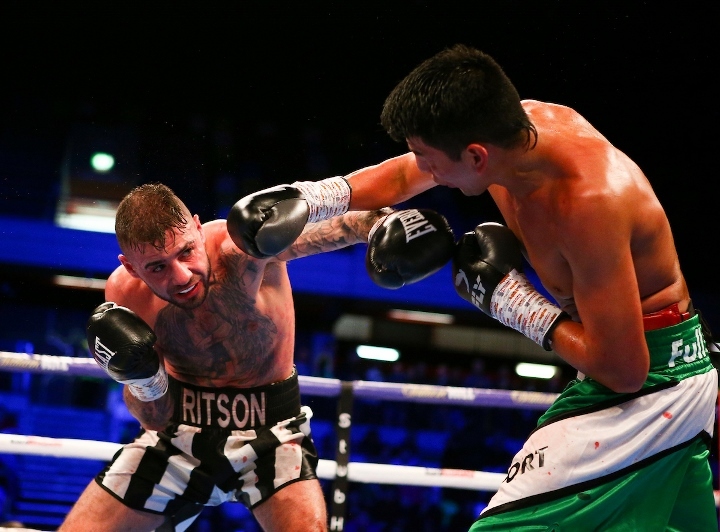 The judges scored it 99-91 and 98-92 twice for Ritson. 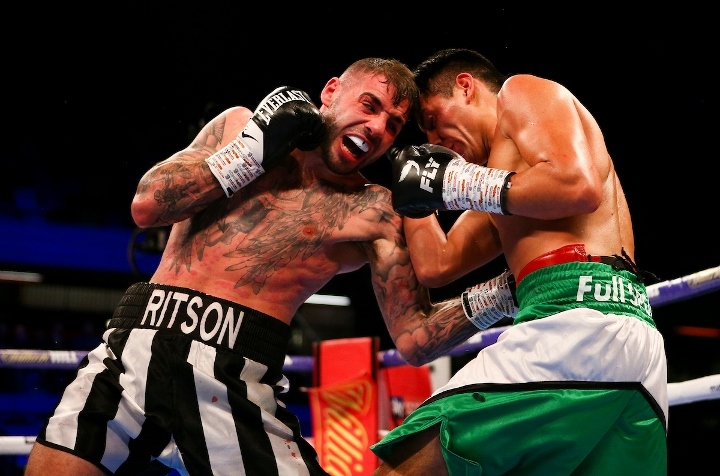 Ritson appeared a little deflated afterwards, admitting Benitez provided a tough match. 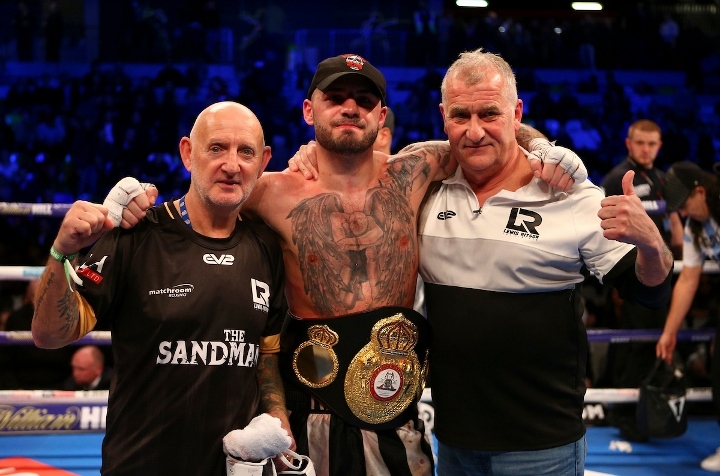 For what it’s worth, Ritson won the WBA Inter-Continental title and of course, sterner tests await as he jostles for position as a contender at eleven stone.